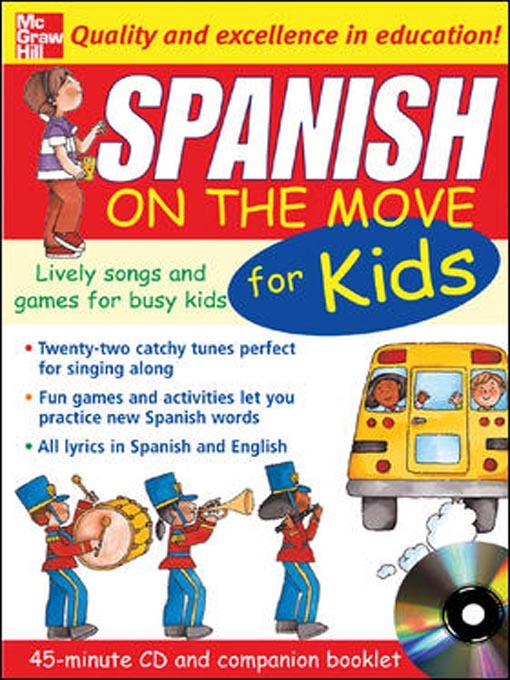 A fun way to introduce kids ages three to eight to a second language, the On the Move series takes full advantage of kids’ natural talent for learning through song. Songs about an array of topics that matter to kids—including counting, family, holidays, school, animals, the weather, colors, and more—feature lyrics specially developed for easy comprehension and catchy melodies that make singing along irresistible. And the convenient format makes it easy for kids to have some fun with language whenever and wherever the spirit moves them.